Hi. 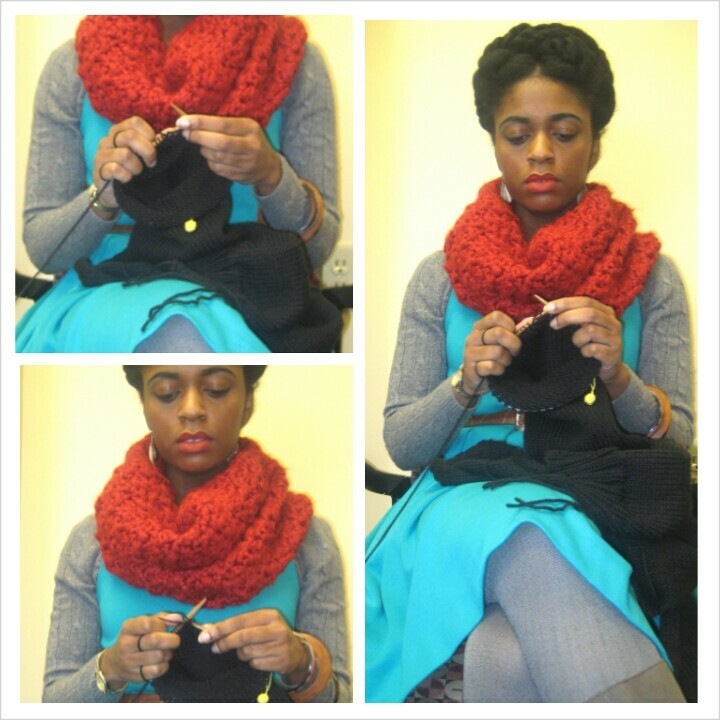 My name is Constance and I LOVE knitting and crocheting. For awhile now I have been contemplating starting a blog to talk about all things knit and crochet—while also throwing in a few crafting ideas. 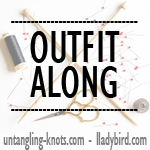 So, how did I get started knitting and crocheting you ask? My desire to start knitting came in 2007 because I wanted a hobby that was rewarding. My sister, Alison dabbled in knitting but, didn’t continue for long. She then picked up crocheting and became consistent with that. However, I wanted to learn to knit before crocheting because I figured crocheting would be the easier of the two and I wanted to start off with the more difficult one. When I first started knitting I learned from a kit my sister Joy bought me from Hobby Lobby. I think it was called Learn to Knit Kit. It came with a book, 2 sets of needles, and some notions. She also bought me 2 skeins of Red Heart Super Saver in hot pink and soft pink (Pink is my FAVE color). So, I began learning from a book and never looked back. I would eventually buy even more books and become engrossed with knitting. My first finished projects came from the Leisure Arts book “I Can’t Believe I’m Knitting!” I made a flower brooch and a dishcloth. You don’t know how proud I was of those finished objects. Now as for crocheting (I also started in 2007), it actually took me a minute to learn how to hold that hook. I don’t know if it was difficult because I learned knitting first but, I was having a time! I asked my sister, Alison, to teach me since she had been crocheting for awhile. However, she wasn’t the best teacher So, I kinda put the hook down and picked my needles back up. Then, I went to spend some days at my ex-boyfriends home and I saw that his mother had created a gorgeous crochet afghan. I started asking her about crocheting and she decided to show me some basic stitches. For some reason, I eventually caught on and I never looked back. As soon as I got back home, I purchased Leisure Arts “I Can’t Believe I’m Crocheting” and “A Year of Doilies” (the vintage girl in me always adored doilies). My first projects were a baby blanket for a friend and a doilie for my ex’s mother, which they both loved. What will this blog focus on? I plan on talking about all things knit and crochet from current projects, to finished objects, my FAVE designers, my fave yarns, Book Reviews, magazine reviews, and so much more! When do you knit and crochet? My days for getting the most done for my knitting/crocheting is Monday, Thursday, and Friday. I usually do squeeze in time on the other days of the week but, they are usually full. I try to knit everyday even if it’s just a couple of rows here and there. Want to know a little more about me? Jesus Christ is my Lord and Savior. I am a 30 y.o. Currently, I work a full-time job but, I am trying to enter into graduate school. I am a Coke Zero feen and love hot-brewed tea (Vanilla Chai, Pumpkin Spice, Chamomile, Lemon Ginger, and many others). I collect all things Owls so, you may notice some in the background of my space or owl-related jewelry and owl-related projects. Despite the amount of time knitting/crocheting takes up, I still squeeze in time for my reading. I love classic British literature, Nora Roberts/J.D. Robb, and other works of fiction. When knitting/crocheting I watch a lot of TV Land because they show my fave shows (Andy Griffith, Everybody Loves Raymond, King of Queens). Also, I love watching Duck Dynasty. When I get tired of TV I pop in my DVDs. My favorite movies to knit to are Pride and Prejudice (BBC version and HBO version), Where the Heart Is, A Christmas Story, Crooklyn, Harry Potter series. That’s about it for now. LOL! Thank you! But, crocheting in PJ’s is oh-so-comfy! Good choice in films – the BBC version of Pride and Prejudice is the best thing created for TV. I found your site via raverly. I enjoyed reading your blog.we have so many things in common. Thank you, Antoynette!! What is your ravelry name? You have made me put more effort into getting more cardigans designed and made. IN fact, you have spurred me on so much, I am casting on tonight for a top down or a vintage one. Hmmmm…I wonder which? I’ve been designing them on paper for sooooooooo long, I’m annoying myself. I love how you look for a challenge and decided to do knitting first. 🙂 My story into knitting is on my Ravelry: ludouglas I had a mom and grandmother who both knitted but didn’t crochet. Enough of me…thanks for telling us your back story. I think its amazing that you design cardigans. It is always something I’ve thought about, but I tend to flock to patterns from designers because it takes the guess work out of it for me. Maybe one day I will challenge myself more to work out a design. I look forward to reading you knitting story on Ravelry. It would’ve been nice to have family members who knew how to knit. My mother and neither of my grandmothers knitted or crocheted. Hi Cmc, I just came across your blog via a pic of the Double Stitch Twins designs. I am looking for the pattern that looks like a spider web (black). Need to make for a client. Hope you see my comment & help me out with the pattern name. Your blog is a nice easy to follow & read along. Thank again & have a Million Miracle Minute Monday working day/week. Enjoy!! Thank you so much! The pattern is called the Trippy Tunic. It is a free pattern and can be accessed at this link http://www.redheart.com/free-patterns/trippy-tunic . I hope this helps.